A Palestinian man who was shot and injured by Israeli forces in the central occupied West Bank district of Ramallah earlier this month succumbed to his wounds on Thursday, the Palestinian Ministry of Health said. 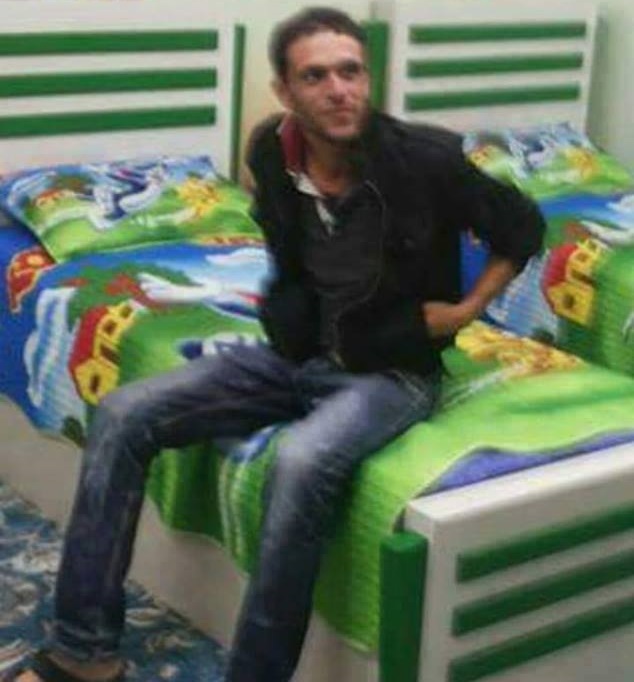 The ministry said Shadi al-Ghabeesh was released from Ramallah's Palestine Medical complex on Dec. 13, after having recovered from being shot by Israeli forces during clashes in al-Jalazone refugee camp on Dec. 4. Doctors said al-Ghabeesh was released in a stable condition. Due to what is believed to have been complications from the bullet injury, al-Ghabeesh fell ill on Friday, his family said. By the time medics reached the family home to treat al-Ghabeesh he had already passed and medics pronounced him dead. Al-Ghabeesh's body was taken to Palestine Medical Complex for an autopsy and the Palestinian police are investigating the incident. Earlier on Thursday, Israeli forces shot and killed a 22-year-old Palestinian after a suspected vehicular attack near the Huwwara military checkpoint in the northern occupied West Bank district of Nablus, Israel’s army said at the time. A spokesperson for the Israeli army told Ma’an that an assailant ran his car into Israeli forces who were stationed on highway 60 near the Huwwara checkpoint for security purposes. The forces opened fire on the man, killing him on scene, the spokesperson said. 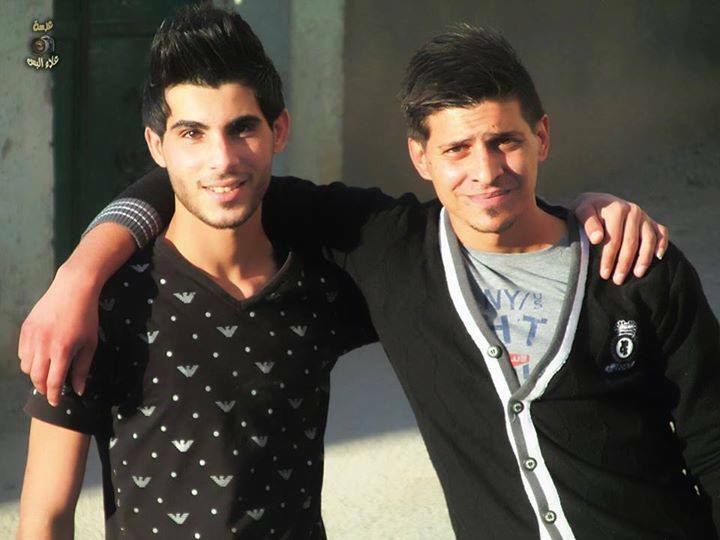 The Palestinian was identified as Hassan Ali Hassan Bozor from the town of Arraba east of Jenin. One soldier was moderately wounded in the suspected attack and was taken to Beilinson Hospital in Petah Tikva, Israeli media reported. “The injustices associated with an occupation which shows no prospect of ending feed into a perspective -- particularly among the youth -- that they have nothing to lose by sacrificing their lives,” the UN official said during an address to the UN Security Council. An Israeli soldier on Thursday afternoon suffered injuries when a Palestinian young man rammed his car into him near Nablus city. Israeli newspapers said that soldiers at Huwara checkpoint showered a vehicle with a hail of bullets and killed its Palestinian driver immediately after he ran over one of them. Local sources told the Palestinian Information Center that the young man, who carried out the vehicular attack, was identified as Hasan Ali from Raba village in Jenin. They added that an Israeli ambulance seized the body of the young man and transferred it to an undeclared place. Consequently, the Israeli army closed all checkpoints around Nablus city following the attack. A Palestinian civilian from the Maghazi refugee camp, in central Gaza Strip, died at dawn Monday of wounds inflicted by Israeli bullet fire on Friday. A PIC journalist said 48-year-old Youssef Abu Sbeikha succumbed to the wounds he sustained a few days ago in clashes with the Israeli occupation army in eastern al-Bureij refugee camp, in central Gaza Strip. The casualty was hit by the Israeli occupation troops with three shots in his chest, shoulder, and thigh, and underwent a surgery at the Shuhada al-Aqsa Hospital in Deir al-Balah. 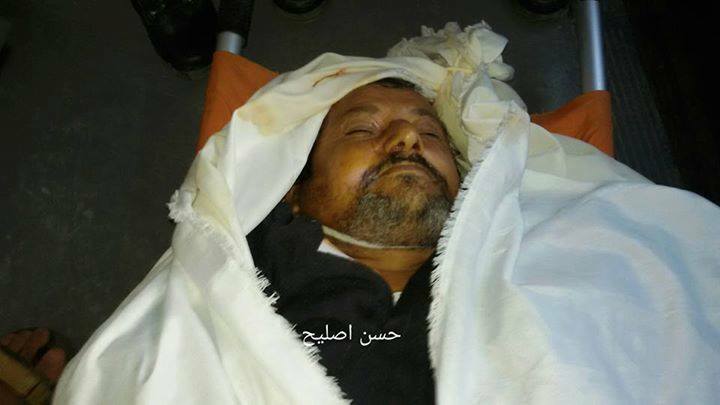 Abu Sbeikha was later transferred to the Shifa Medical Complex, where he breathed his last at dawn. Abu Sbeikha was injured after the Israeli occupation army showered Gaza’s eastern outskirts with randomly-unleashed waves of bullet fire, killing 22-year-old Hani Rafiq Wahdan on the spot and wounding 28 more protesters. Two Palestinians were shot dead after stabbing an Israeli soldier in the village of Huwwara south of Nablus in the occupied West Bank, locals and Israel’s army said. An Israeli army spokesperson told Ma’an that two Palestinians stabbed and wounded a soldier before Israeli forces on site opened fire, resulting in the death of both attackers. The spokesperson said that initial reports suggested that an additional soldier was injured as a result of fire directed towards the attackers. One Israeli soldier received stab wounds to the face, while the other was injured by a gunshot wound to the leg, according to Israeli media. Both soldiers were evacuated to a hospital for medical treatment. Locals identified the Palestinians as Muhammad Rafiq Hussien Sabana,17, and Noor al-Deen Muhammad Abdul-Qadir Sabana, 23. The Huwwara area -- particularly the military checkpoint next to the village -- has been site to frequent confrontation between local Palestinians and Israeli military and settlers in recent months. Israeli forces on Sunday shot dead 56-year-old Maher al-Jabi at the Huwwara military checkpoint after he ran his vehicle into soldiers, lightly injuring one. Last week, the forces shot and killed a 15-year-old from the Nablus-area village of Beit Furik after he reportedly drew a knife on soldiers at the checkpoint. Weeks before, two 16-year-old Palestinians were shot dead at the checkpoint, one of whom was run over and shot by prominent Israeli settler Gershon Mesika after he said she was attempting to carry out an attack. No Israelis were injured in any of the incidents. Such incidents have become near-daily since Oct. 1, with 12 Palestinians and 2 Israelis killed in the last week alone. Two Palestinians killed in the last week were shot dead during clashes with Israeli military forces, while the rest were killed by forces during attacks on Israeli military and civilians. An Israeli army spokesperson told Ma’an that a Palestinian approached the Huwwara military checkpoint and “rammed his car into security forces manning the position,” injuring one soldier. Locals in the area at the time said that the driver -- identified as Maher al-Jabi, 56 -- had sped past several vehicles at the checkpoint before forces opened fire. Al-Jabi was critically injured and evacuated by Palestinian medics to the Rafidiya hospital in Nablus where he died shortly after from gunshot wounds to the jaw and neck. The soldier injured in the car-ramming was 20 years of age and sustained light wounds before being taken to Beilinson Hospital in Petah Tikva, according to Israeli media. Israeli military reinforcements were deployed at the checkpoint and closed the road in both directions following the car-ramming. Last week, the forces shot and killed a 15-year-old from the Nablus-area village of Beit Furik after he reportedly drew a knife on soldiers at the Huwwara checkpoint. The Huwwara checkpoint is a major thoroughfare for both Palestinians as well as Israelis living in illegal settlements, and has been site to frequent confrontation between local Palestinians and Israeli military and settlers in recent months. Al-Jabi's suspected attack was the second to take place in the occupied Palestinian territory on Saturday. Another Palestinian was shot dead earlier in the day after reportedly attempting to stab an Israeli police officer in Jerusalem. His family later told Ma'an that the young man suffered from mental disabilities, denying that he would have carried out an attack. 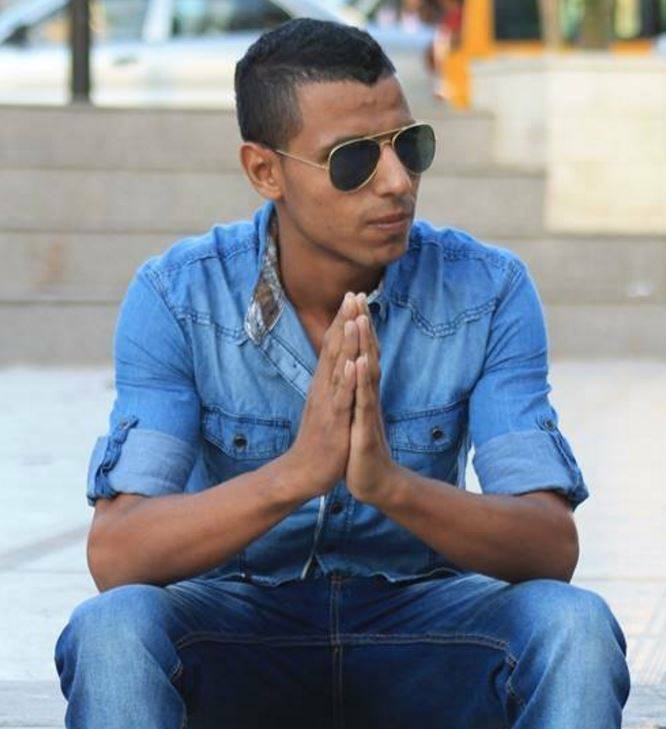 Israeli soldiers killed, Saturday, a young Palestinian man in Bab al-Jadid area, in occupied Jerusalem, after claiming he “carried a knife, and attempted to stab an officer." Eyewitnesses refuted the military allegations. Israeli sources said the soldiers, and police officers, stopped the man and started searching him, and that he then allegedly "pulled a knife and attempted to stab them, before they shot him dead." 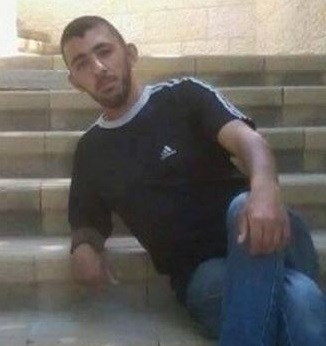 Palestinian man, who was later identified as Mos'ab Mahmoud al-Ghazali, 26, from Wad Qaddoum neighborhood in Silwan town, in occupied Jerusalem. An eyewitness said the Palestinian was sitting near the Bab al-Jadid when mounted officers ordered him to stand up, and after he did so, and raised his arms in the air, they fired several rounds at his legs, and shot him in the chest after he fell onto the ground, the Maan News Agency said. After his death, undercover soldiers of the Israeli military stormed his family's home, violently searched it and interrogated several members of his family. Israeli soldiers killed, on Friday evening, a Palestinian woman while driving her car near the main entrance of Silwad town, northeast of the central West Bank city of Ramallah. 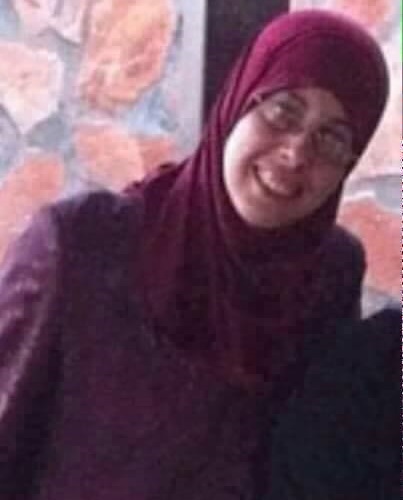 The slain Palestinian woman has been identified as Mahdiyya Mohammad Ibrahim Hammad, 38. She is a married mother of four children. Although the Israeli army claimed “she attempted to ram soldiers with her car,” eyewitness confirmed she was at least 30 meters away from the military roadblock, when the soldiers opened fire on her. They added that the woman was not even speeding when the soldiers opened fire on her car, and that the army fired many live rounds at her. Following the shooting, the soldiers left the woman to bleed to death, and held her body for more than two hours before handing her to the Palestinian side, near the Beit El military roadblock. The family said the funeral ceremony and procession will be held on Saturday, after the noon prayers in Silwad. The Palestinian Health Ministry said Hammad was shot with two live rounds in her face, five rounds in the chest and two in the pelvis. 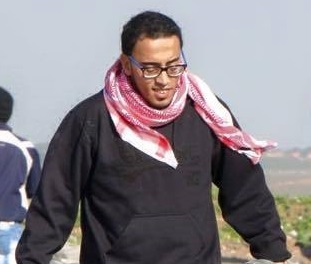 Also on Friday, the army killed a young Palestinian man, identified as Hani Rafeeq Wahdan, 22, east of Gaza City. Wahdan was shot with a live round in the head. The Palestinian Health Ministry said 137 Palestinians, including 26 children and 7 women, have been killed by Israeli fire since October 1, while more than 15000 have been injured, including 4500 who were shot with live fire and rubber-coated metal bullets. Israeli troops attacked, using live gunfire, four different protests held in different parts of Gaza Friday, wounding six people near Khan Younis, wounding four people in al-Boreij, wounding one near Erez, and killing one young man in al-Shejaiya, east of Gaza City. Hani Rafiq Wahdan, 22, was shot in the head near the al-Shejaiya neighborhood east of Gaza City, according to a spokesperson for the Gazan Ministry of Health, Ashraf al-Qidra. He died on the scene. In al-Boreij refugee camp, in central Gaza, clashes broke out between Palestinian demonstrators and Israeli forces after the Israeli forces invaded the camp and began firing on demonstrators. Some of the demonstrators then responded by throwing stones, according to local sources. Six others were shot in the al-Faraheen area east of Khan Younis, and one Palestinian was shot near the Erez crossing, according to the Palestinian Health Minister for the Gaza Strip. The attacks on the demonstrations in Gaza occurred at the same time as similar assaults on non-violent demonstrations against the Israeli Annexation Wall and settlements in a number of West Bank villages. These demonstrations take place weekly, after Friday prayers, and have been continuing for over ten years in many of the villages. Organizers say that they are attempting to demonstrate their resilience in the face of the ongoing brutal military occupation by Israeli forces, and the continuous theft of Palestinian land by the Israeli government and paramilitary settler forces. A Palestinian youth was killed by the Israeli occupation forces (IOF) at noontime on Thursday after he carried out an anti-occupation car-ramming attack in Occupied Jerusalem. Israeli news outlets claimed a Palestinian youngster rammed his car into an Israeli cop near the Adam settlement, in northern Occupied Jerusalem, moderately wounding the officer. The Israeli occupation soldiers fired multiple shots at the youth, killing him right on the spot. Three Palestinian youths were reportedly shot dead by the Israeli occupation forces on Thursday morning in separate anti-occupation attacks near the West Bank and Occupied Jerusalem. In the third fatal shooting of a Palestinian on Thursday morning, Israeli troops shot and wounded a young Palestinian near the Jaba’ military roadblock after a car accident. The roadblock is located near the Israeli settlement of Geva Binyamin in the occupied West Bank. The slain Palestinian has been identified as Wisam Abu Ghweila, from the Qalandia refugee camp, north of occupied Jerusalem. According to Israeli sources, Abu Ghweila drove his car too close to the roadblock. They claimed that he hit soldiers with his car, and one soldier reported being mildly injured. Instead of addressing the situation as if it were an accident, Israeli troops immediately began to empty their guns at the suspect, wounding him severely. Eyewitnesses said the soldiers fired more than thirty live rounds at the Palestinian car, which was driven by a young Palestinian man. Israeli medics arrived at the scene of the incident, and provided medical aid to the mildly wounded soldier, before moving him to an Israeli hospital. They did not provide medical aid for Anu Ghweila. The Jaba’ military roadblock links between the central West Bank district of Ramallah and various Palestinian areas in the southern part of the occupied West Bank. The Palestinian is the third to be killed by Israeli military fire on Thursday; on Thursday morning, the soldiers killed Eyad Jamal Ed’eis, 26, from Yatta town, south of Hebron, and Mohammad Abdul-Halim Zahran, 22, from Kafr ad-Deek town, west of Salfit. Geva Benyamin was the site of a controversy in 2014 when Israeli authorities decided to expropriate several acres of Palestinian farmland and buildings in order to construct a bypass road for settlers to relieve traffic congestion on Jewish-only road #437. At that time, the Israeli newspaper Ha'aretz reported that Dror Etkes, a researcher into settlement activity, said the new road was paved on an illegal thoroughfare that the settlement built illegally in 2002-2003 to expand Geva Binyamin’s boundaries. The land for the road and settlement were illegally seized by the Israeli military and handed over to Israeli settlers. The land was owned by residents of the Palestinian village of Jaba'. A Palestinian man was shot and killed Thursday morning in Hebron, in the Saddit al-Fahs area. Israeli troops took the body of the slain Palestinian away in a black bag. After the shooting, the Israeli military claimed that the man had attempted to stab Israeli soldiers with a screwdriver, but there was no evidence of that at the scene. Earlier on Thursday, Israeli soldiers invaded various towns and refugee camp in the Hebron district, and kidnapped eight Palestinians, after breaking into their homes and violently searching them. The kidnapped Palestinians have been identified as Ashraf Nabil Rajabi, 27, Hamed Khaled al-Qawasmi, Zakariyya Fahmi Ghatasha, 19, Mohammad Majed at-Teety, 17, his brother Ibrahim, 23, Raed Ahmad ‘Oqeilan, and Hebron District Court judge Musleh Mohammad Abu ‘Arram, 51. On Wednesday afternoon near Hebron, Israeli forces fired tear gas at the Zahrat al-Madaim Girls School, filling classrooms with gas and causing dozens of girls to suffer from tear gas inhalation. For the past two months, Israeli forces have closed off most parts of Hebron, preventing residents from using their cars, and from entering or leaving without a permit. Alami told the reporters that some people try to sneak past the newly-constructed barricades with their vehicles, but he does not believe it's worth it, since anyone who is caught will have their vehicle seized by Israeli authorities and will be forced to pay an enormous fine. A Palestinian man was shot and killed by Israeli forces on Thursday morning after allegedly stabbing and wounding two Israeli guards at an industrial park outside Ariel settlement, the largest Israeli settlement in the West Bank. The guards, one male and one female, both 24 years old, were allegedly lightly wounded. When emergency crews from the Israeli ambulance service Magen David Adom arrived on the scene, they were able to walk themselves to the ambulance. 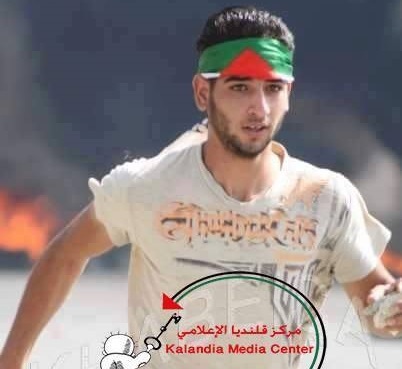 The Palestinian who was killed has not yet been identified. The two soldiers were taken to Beilinson Hospital in Petah Tikva, according to Magen David Adom. The Palestinian who was shot was not treated by medical personnel, and was not taken to the hospital. 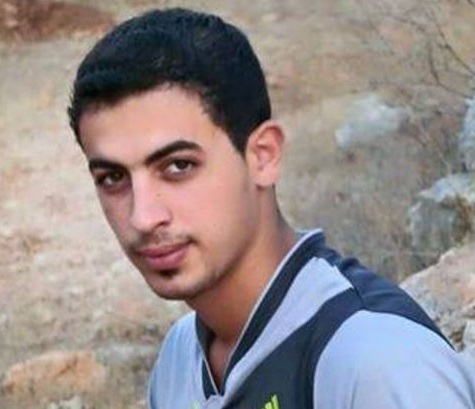 His body was taken by Israeli authorities to an unknown destination. According to a 2013 report by the Israeli newspaper Ha'aretz, around half of the 20,000 workers at the 120 factories located in the Barkan Industrial Park were Palestinian. These factories are part of the economic boycott against Israeli settlement products, which was called for by hundreds of Palestinian civil society groups in 2005. The Barkan Industrial Park has not been a site of violence by Palestinians against Israelis in the past. Many Palestinians living in the area nearby have traced the high rate of cancer to runoff and emissions from the industrial park, which are directed toward Palestinian areas so they will not be regulated by Israeli authorities. The Palestinian Ministry of Health reports that approximately 70 per cent of people with cancer in the Salfit district are from areas near Barkan industrial zone and the sewage flow that comes from the zone.